Open late, dimly lit interior, staffed by black suits, and found down a quiet street, Indulge Experimental Bistro is very ideal for a drink or even a late-night snack. The front is all-white and a bit bland which would make it easy to miss on a busy street; fortunately, this is not the case as the street is normally very tranquil. 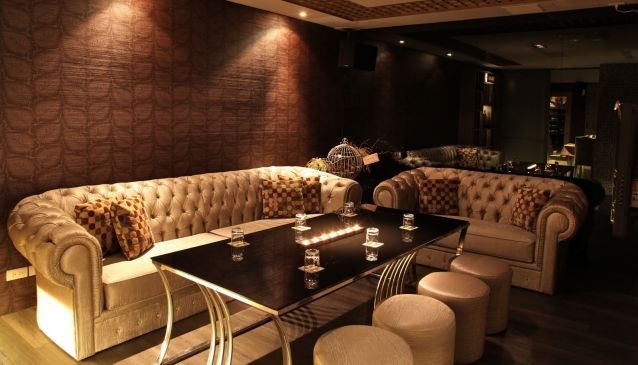 There are tables and lounge couches for groups, and bar seating. The menu has a long list of drinks including beer, wine, and cocktails, the last of which is a must to explore; Indulge's cocktails are the brain children of award-winning mixologist Aki Wang. Try specials such as Scent of a Woman, Blood of Don, or the fruity Guava Mule. If wanting a meal, find stylish plates of pasta, fillet, seafood, chicken, steak.